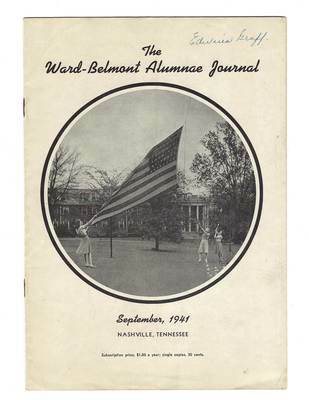 The 1941 Alumnae Journal shows a lovely scene of three women raising the flag. This copy belonged to Edwina Gruff, class of 1941. According to her alumni card, after graduation, she attended William & Mary and married Richard Hughes.